When Deakin University graduate Maddison Newman decided to create a performance to show audiences what it was like to live with the chronic pain she knew the process would not be easy. But the winner of the Vice-Chancellor's Medal for Recognising Excellence, which honours students who experience hardship while studying, was up for the challenge. At the end of 2015 Maddy was diagnosed with Centralised Sensitivity, a condition of the nervous system that involves a heightened reaction to touch, sound and other senses. What most of us would consider a slight bump, Maddy would register as intense pain. In sensory theatre artists create performances that allow the audience the opportunity to touch, taste, smell, hear and see a story as it unfolds around them. But Maddy wanted to take this one step further. Using lighting, sound, blindfolds and the experiences of touch, taste and smell, Maddy created an installation where the audience could imagine how she felt trapped in her own body. As the audience stepped barefoot into a darkened room, the floor slipped as images were projected onto Maddy’s body, lying still on a table, giving them a sense of heightened sensitivity. Dr Rea Dennis, Senior Lecturer in Art and Performance and Honours Course Director at Deakin University, supervised Maddy's creative research project and nominated her for the award. She said that it was Maddy’s “sensitivity and courage that stood out”. “She is tenacious and ethical, and this leads to a detailed and disciplined approach to making theatre and performance,” said Dr Dennis. When she was an undergraduate, Maddy drove from Ballan each day and she soon began to feel lonely and isolated. “Living in a small country town, and going to school in a small city, was restricting, you knew everyone,” she said. “So, coming to a place where you don’t know everyone changes the way you interact socially. Maddy took time off after she graduated: “The year off cemented who I was outside of school,” she said. While deciding to do her Honours, Maddy said Deakin University had the creative scope she craved. “The Honours at Deakin in this particular course was to build a practice, to be active in the community, as opposed to a more academic look where the Masters is very much research and writing,” she said. 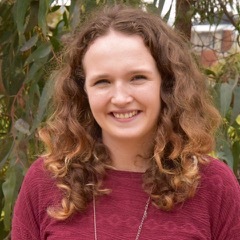 Jo French is a Melbourne-based freelance writer and journalist, currently studying Professional and Creative Writing and Journalism at Deakin University. Jo is driven to tell the stories of others, providing them with a platform to have their voices heard and their experiences valued. She enjoys discovering the stories within the community that will encourage and inspire others and strengthen community connections. Jo writes for the award-winning community newspaper, the Warrandyte Diary. She has her own monthly column, titled ‘corner of my eye’, where she takes inspiration from the glimpses of things that may go by unnoticed.